One of the most difficult challenges in the retail world is finding the best possible price point for your products. Price ‘too high’, and at the risk of alienating customers from taking your desired actions, but price ‘too low’, and potentially face a struggle to break even or even run a loss which only spells disaster for any retailer. The notion that a retailer could set the ‘best possible single price point’ for any product they retail would be difficult to substantiate simply because price will always be subject to internal and external influences. This really could be anything from the cost of manufacturing or purchasing the product for retail to the competitive environment and seasonality’s. Let's take a look at some of the most popular pricing strategies that may help your pricing initiatives and strike the right balance between customer appeal and comfortable margins. Keystone pricing is one of the most popular pricing strategies used by many retailers today. Named after the keystone in an arch that doubles in size from top to bottom, the term implies retailers double the price they paid for a product at wholesale as strategy to consistently make a predetermined profit margin per product unit sold. A basic scenario would see a product purchased by a retailer from a distributor or manufacturer at £30 per unit would be marked for sale to the consumer at £60 per unit. Pretty straight-forward right? Well, in theory yes, but the its application in today’s retail ecosystem may present its own challenges. The immensely competitive retail environment demands that intelligent retailers adopt some form of competitor monitoring and price tracking initiative as a method of maximising visibility on their competitors and macro environment. The idea of retailers simply doubling their purchase price without visibility on what their competitor’s price points for the same or similar product would almost certainly cost the retailer sales and customers. Also, the idea of certain retailers not living up on their brand message or perceived brand image simply based in a keystone pricing strategy is disastrous. 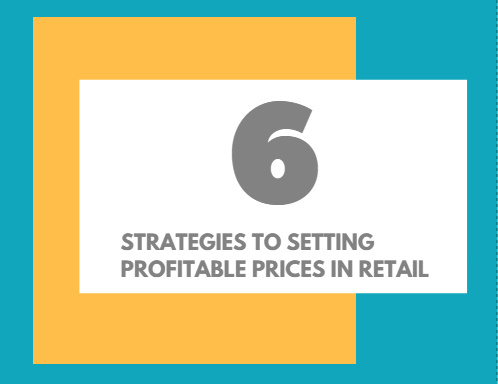 Discount retailers simply cannot begin to double their prices based on this strategy alone. Discount pricing as an overall strategy has increased in popularity over the past five years to the point where some retailers are categorized as discount retailers with low prices and bargains central to their brand values and message. From vouchers and cashback to price markdowns and promotions, discount pricing is a natural part of retailing for retailers and consumers alike. It is not uncommon for discount retailers to run loss leader pricing initiatives (where retail price set for a product is below the cost retailer paid for the product) on certain products to encourage consumers to purchase other higher priced items that deliver higher margins. Although an effective way to drive traffic and increase sales, discount pricing not manged effectively could also prove counter-productive. Retailers may experience customer resentment to paying full price for products they sell, expecting deals with every purchase. Multiple pricing (also referred to as bundle pricing) is another popular strategy employed by many retailers to increase sales volumes while teasing customers to purchase higher priced individual items. With multiple pricing, multiple items are offered for sale to the consumer at a single price. An example would be where a retailer offers 4 items for £1. This pricing strategy could act as a short-term differentiator for retailers who are first to offer deals and bundles before their competitors follow suit. With margins being squeezed, many retailers are now focused on maximising sales volumes as a strategy to sustain profitability. To increase consumer appeal for multiple price items, retailers could offer bundles that collectively provide more value to the consumer. For example, a retailer offering a 3-item multiple pricing bundle including a jumper, tee shirt and pair of jeans for £30 could be perceived to be offering more consumer value than a bundle that offered 3 pairs of jeans for the same price. Psychological pricing is an effective strategy that leverages human emotion and subconscious behaviour to positively influence consumer purchasing decisions. Unsurprisingly, intelligent retailers are using very deep analytic tools and technologies to monitor consumer lifestyle and buying patterns using this information to develop timely pricing strategies and greater control of consumer spend. Another effective psychological strategy is the “Buy One, Get One Free (BOGOF)” offer or promotion. As consumers become more aware of these obvious retail tactics to make them spend more, retailers have to become more innovative as they fight for consumer attention and wallet. For example, buy one, get ‘x’ item for half price” with ‘x’ item being a higher priced item of perceived higher value. Other effective psychological pricing strategies include ‘Comparative Pricing’ where two similar items with different prices (one price being a more attractive option) are presented to the consumer to speed up their buying decision making process. Another popular strategy is ‘Anchor Pricing’, where retailers display the original item price next to the current item price, visually communicating the price discounts. Research by Keith Coulter and Robin Coulter found that basic changes to font style, size and colour of previous price increased consumer purchases as customers perceived the new price cheaper more value for money. Absorption pricing is a cost based pricing strategy employed by retailers who want as much of the business costs as possible to be absorbed by each product sale to drive and sustain profitability. To achieve this, the retailer calculates all variable and allocated fixed costs incurred by bringing the product to market. They then decide whether or not to add a mark-up (percentage increase to the pre-calculated variable costs). Once added, the final number is the retail price. This pricing method is fairly straightforward to execute provided the costs calculations are accurate and provides a clear strategy for retailers to ensure profitability from each product sold. This pricing strategy does not consider customer perception on value and most importantly, whether the customer would actually pay the concluded retail price. This pricing method also ignores what other competitors may be charging for the same product. Consider using this strategy to gauge the potential profitability against competitor prices for the same product using competitor monitoring or price tracking software. This simple yet effective pricing strategy is exactly as it as it sounds. This is where a retailer sets their product prices above or below their competitor’s as part of their differentiation strategy. As simple as this strategy sounds, it is immensely effective in tempting consumers to try new retailers and brands. Simply pricing below the competition has clear advantages, but this can be difficult to manage for smaller retailers who don't manage sufficient volume to make enough profit. Pricing above the competition, however, works by creating the illusion of exclusivity and luxury. Instead of playing on a customer's sense of getting a better deal, it works by convincing customers that the more expensive product is somehow better. The question here would be how retailers gather the competitor pricing intelligence required to keep up with price changes and price trends. It is not uncommon for smart retailers to conduct competitor monitoring initiatives using various price tracking software but key to this activity is the accuracy, frequency and application of pricing intelligence updates to create and sustain competitive advantage. These are just a few pricing strategies, but certainly aren't the only options. Dynamic pricing, for instance, is much more complicated but can deliver incredible advantages. The most important thing is to find the pricing strategies that work for you. It is also crucial that you make intelligent data based decisions from any consumer behaviour, price tracking or competitor monitoring activities you employ. Research, Test, Evaluate – REPEAT!